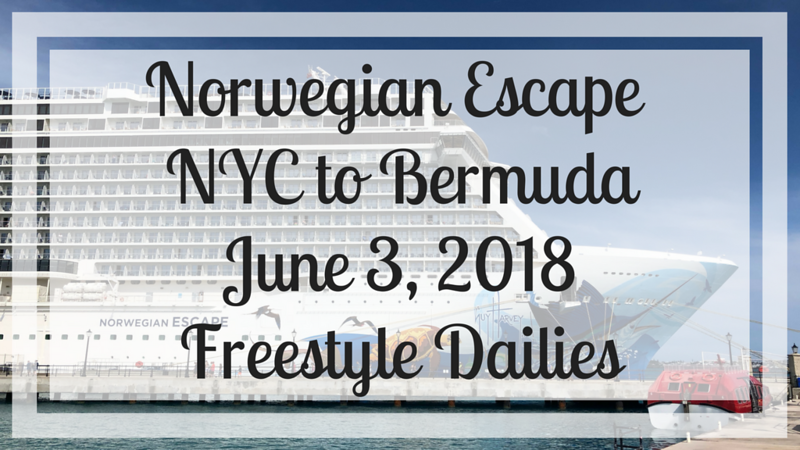 Norwegian Escape Daily itinerary are shown in a slideshow below. Use the left and right arrows to navigate to different pages to see each day. Then you can use the menu below to see the dailies for each day of NCL Escape cruise from New York to Bermuda. Hi I’m Marty going on the escape this July to burmuda. Would really like to hear all about the ship likes and dislikes and the island. Hi Marty! I am glad that you found the dailies useful! The ship is amazing! Loved all the food and the crew was so very friendly! The island of Bermuda is beautiful and there is really a lot to do and see while you are there! I would recommend taking a day trip up to St. George’s. The cruise terminal offers a free ferry to take you there but the trip is much longer. I suggest getting tickets on the local Bermuda ferry to take you there! Have a great trip! !